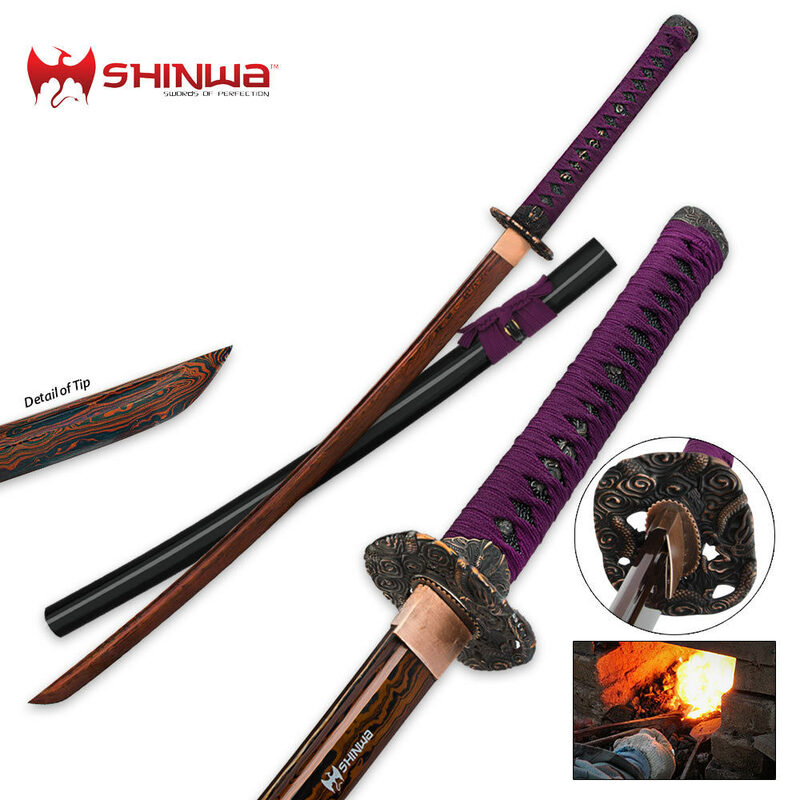 Shinwa Regal Purple Damascus Steel Katana Sword | BUDK.com - Knives & Swords At The Lowest Prices! Reminiscent of ancient noble katanas, this Regal katana is crafted with the same unrivaled quality that Shinwa is renowned for. The powerful curved blade is hand forged and meticulously wrapped in thousands of layers of genuine Damascus steel, giving each blade its own, uniquely beautiful pattern.